Pliure: La Part du Feu, 2 February – 12 April 2015, Paris, Fondation Calouste-Gulbenkian. Photo by Robert Bolick, 11 April 2015. 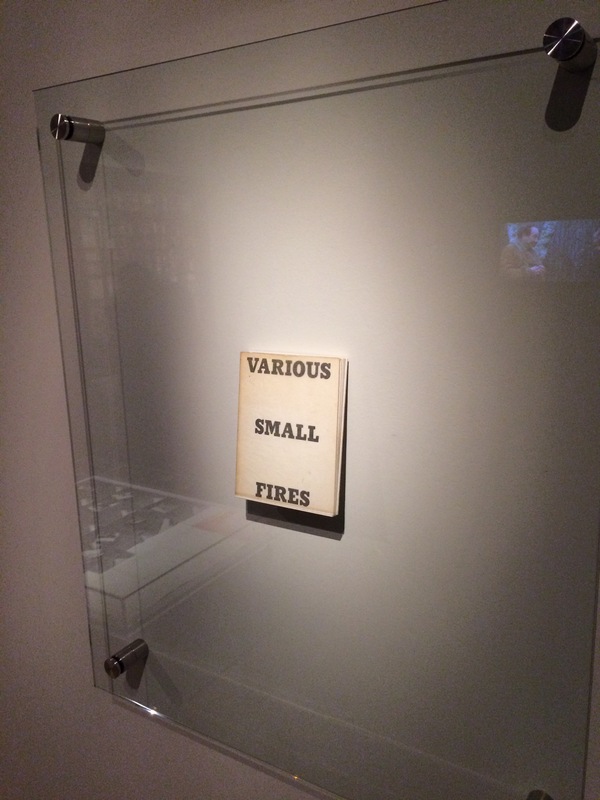 Reflected in the lower left hand corner is the display of Bruce Nauman’s Burning Small Fires, 1968; in the upper right corner, the film clip of Truffaut’s 1966 Fahrenheit 451; and in the upper left, Maria Helena Vieira da Silva’s La bibliotheque en feu, 1974. The Studio Bibliografico Giorgio Maffei specializes in original texts and book art by twentieth century visual and literary avant-garde artists such Baldessari, Lewitt, Munari, Man Ray, Ruscha and Warhol among others. Recently the owner’s son – Giulio Maffei – “started making film as a side activity” and introduced a series of short animations “to put on the social networks and reach new potential customers”. 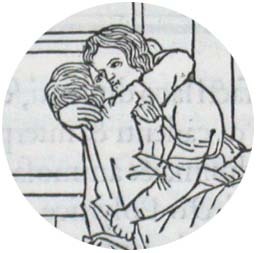 An anonymous pair of hands displays a variety of the books and book art in stock. But Giulio’s videos are not always the straightforward marketing effort intended. 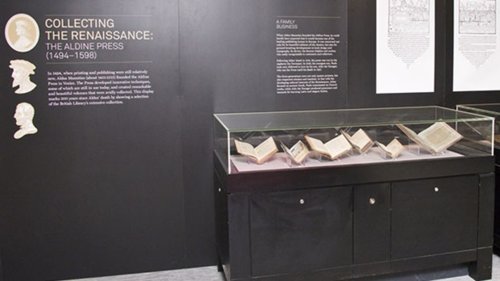 They provide an experience of book art or artists’ books that most of us will never hold or touch. 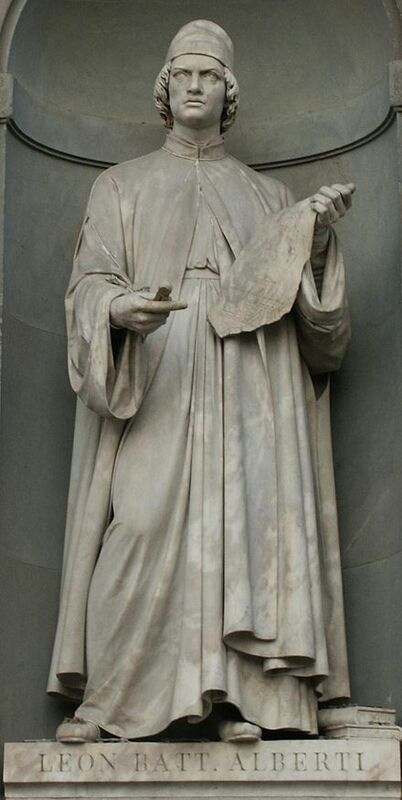 And that may be Maffei’s point in his series “Le Vite dei Libri” (The Lives of Books) in which these usually glassed-off works are playfully handled, gently made fun of and still honored. Some of the videos are derivative artworks in their own right in the same vein as Bruce Nauman’s Burning Small Fires, 1968. Nauman poked fun at Ed Ruscha’s Various Small Fires and Milk, 1964, by composing a book of photos recording the burning of a copy of Various Small Fires. Maffei’s Nauman-esque handling of Various Small Fires and Milk involves flash paper or its Photoshop equivalent. His celebration of Ruscha’s The Sunset Strip is still more endearing with its soundtrack and toy convertible. His cheeky animations of the pop-ups in Warhol’s Index (Book) and the ironically daring destruction of Papa Maffei’s copy of Some/Thing No.3 are even better. In the latter, the plastering of a Banksy-like mural with Warhol’s “Bomb Hanoi” stickers torn from the perforated cover is a sharp-edged example of the arch, reflective commentaries throughout Maffei’s videos. Most of the films’ credits pay typographical homage to the work at hand, which is a nice self-deprecating and affectionate touch. At my last viewing, there were twenty-two works in the Lives series. They are listed below, but once you reach one on YouTube, the others follow. Giulio Maffei has also created a longer video catalogue for his father’s enterprise: Tra Libro e Oggetto (Between Book and Object). The Maffeis are a knowing team. The catalog title can be read as the beginning of a statement displayed on the cover. A statement that refers not only to the works in the catalog but to the video catalog itself and to the elder Maffei’s lifework of collecting, selling and writing about book art. 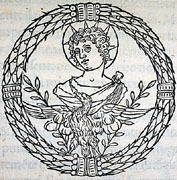 Hypnerotomachia Poliphili. 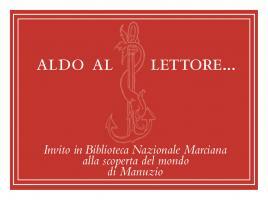 Venice: Aldine Press, 1499. Late afternoon before the long worn wooden benches in the Bodleian’s Convocation Hall, 500 years after the death of Aldus Manutius, Oren Margolis served his audience well, providing them with a richer appreciation of the “finest printed book of the entire Renaissance”* – the Hypnerotomachia Poliphili – and of its publisher Aldus Manutius. Drawing our attention to the more sculptural qualities of Venetian Renaissance printed books over the Florentine and to the evidence of the humanist agenda that drove Manutius, he led us to the page where Poliphilo (lover of all things, but in particular Polia, the ideal woman pursued to the end of the book) stands before a carving that foreshadows the Aldine Press device: a dolphin entwined around the shank of an anchor. 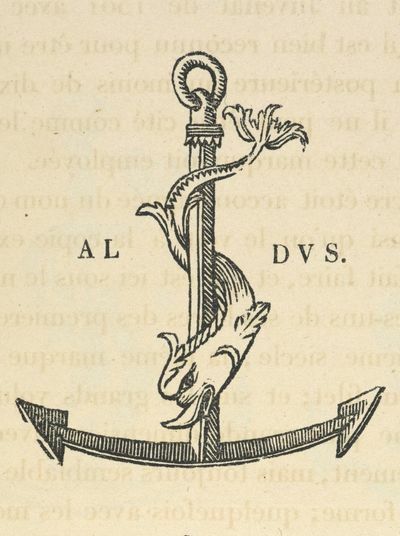 The Aldine Press device was inspired by a similar image on an ancient Roman coin given by Pietro Bembo to Aldus, who wrongly associated it with Augustus and his proverb Festina lente (“Make haste slowly”) and adopted both for his printing and publishing business. 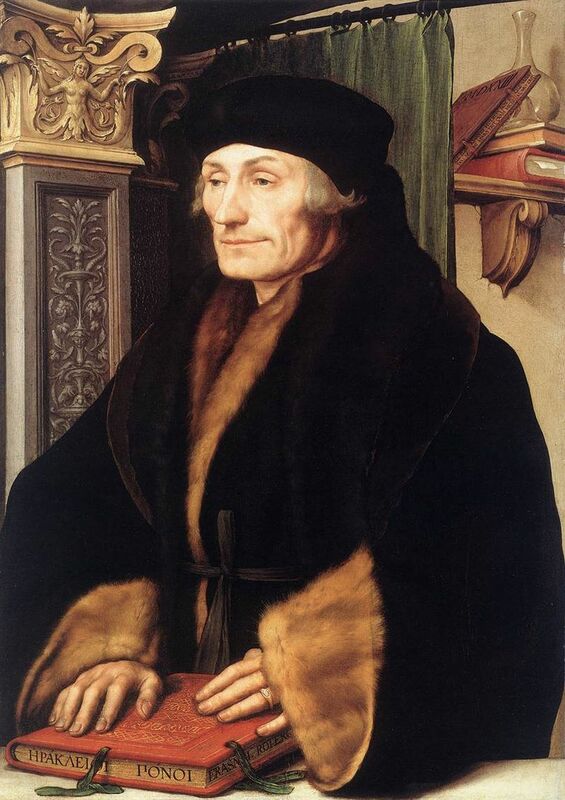 Erasmus praised Aldus, saying that he was “building a library which knows no walls save those of the world itself”. 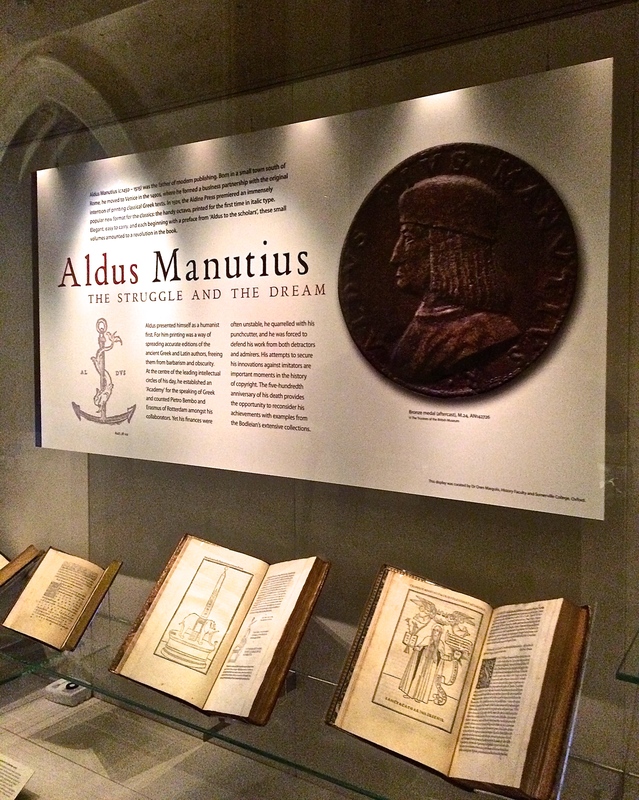 For all of 2015, the world enjoyed a multitude of celebrations of the contribution of Aldus Manutius to publishing, printing and the book. 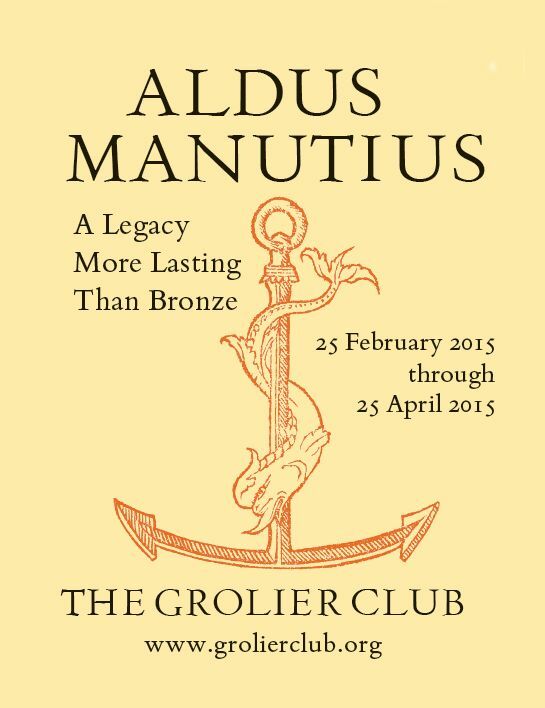 After Gutenberg, Fust and Schoeffer, Aldus Manutius was perhaps the most important printer of the Renaissance. 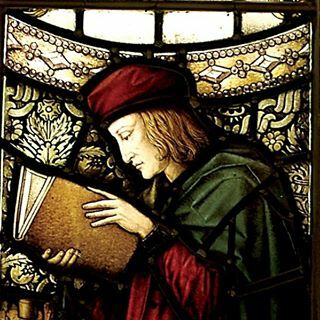 His portable books are still here, although locked away or displayed under glass, no longer so portable. Until now. 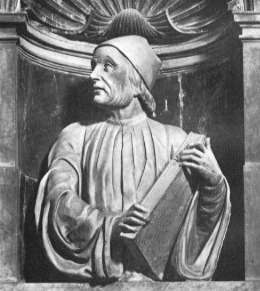 The Manutius Network 2015 provides a running list, links for some of which are provided below, including the online exhibition associated with Margolis’s talk. 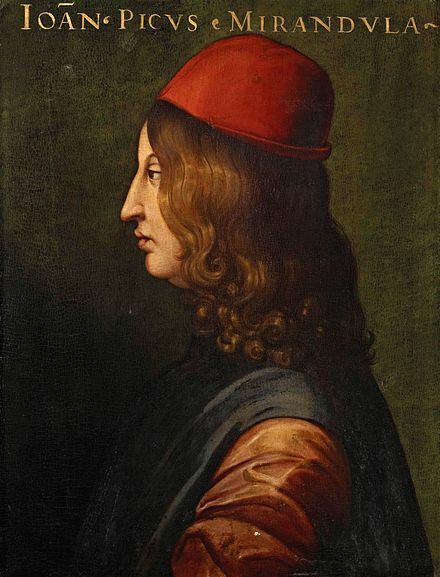 See also below, added in May 2016, the belated exhibition “Aldo Manutius: The Renaissance in Venice” at the Gallerie dell’Accademia in Venice. See the New York Times coverage here. More from the University of Glasgow here. 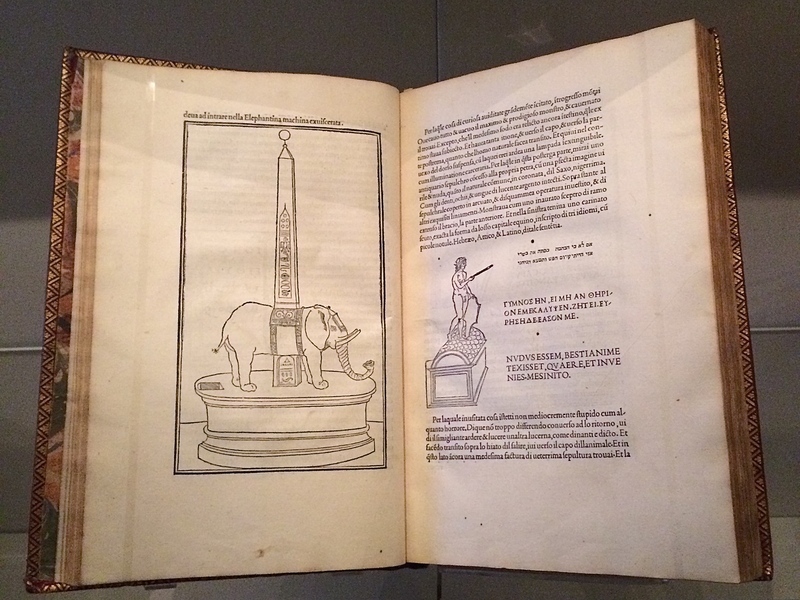 I once spent three hours in a library with a copy of the Aldine edition of Hypnerotomachia Poliphili, and I have never known a book take my breath away so consistently. Every page is a masterpiece: the dance of text with the more than 170 woodcuts; the firm, male stature of the typeface; the crisp spring of the impression; the elegant proportion of the page — all combine to an end in which the craft of printing and design carry the text into an atmosphere not of its own making. This new edition has the appearance of a fine actor in a part lately played by a great one. Here are the signs of the grace that greatness lent the commonplace five centuries ago; and in these signs, the commonplace finds here another advocate for its small claims to our time. *Alexander Lawson. The Anatomy of a Typeface. Jaffrey, NH: Godine, 1990. MS: What skills — or people with those skills — must be incorporated into the editorial process to produce something like the iPad/iPhone editions? 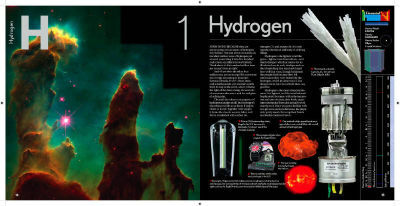 TG: Specifically in the case of “The Elements,” the skills required were writing, commercial-style stills photography, Objective-C programming, and a whole, whole lot of Mathematica programming to create the design and layout tool and image processing software we used to create all the media assets that went into the ebook. Other ebooks might well require different skills. My next one, for example, is going to include a lot more video, so we’re gearing up to produce high-grade stereo 3D video. That’s one of the challenges in producing interesting ebooks: You need a wider range of skills than to produce a conventional print book. Starting out in book publishing late in the last century, a novice would have consulted Marshall Lee’s Bookmaking and the Chicago Manual of Style to learn the basics of design, editorial and production. If it were Trade publishing that beckoned, a familiarity with A. Scott Berg’s biography of Maxwell Perkins (“Editor of Genius”) would have been likely. If scholarly book publishing, then Harman’s The Thesis and the Book, Turabian’s A Manual for Writers and maybe Bailey’s The Art & Science of Book Publishing. But as with the acquisition of print publishing skills through learning by commissioning, designing, editing, printing, marketing and selling, the acquisition of the skills required for ebook publishing could use a hand up from appropriate resources. People like Joshua Tallent, Joel Friedlander, Liz Castro, Craig Mod, Matthew Diener are those resources — either by example or authoring — and novices today would do well to start bookmarking their output. For notes on the availability of formal training and career conditions in publishing, see Thad McIlroy’s The Future of Publishing. Around since 1986, OverDrive has its roots in the production end of the industry, providing publishers with conversion and formatting services from diskettes to CDs to ebooks. Its owner, Steve Potash, set the foundations of its contribution to distribution and retail in 1999-2000 with his participation in the Open eBook Forum, now the International Digital Publishing Forum, and his creation of Overdrive’s Content Reserve. As of this writing, Content Reserve contains over a million ebooks; it is the “overdriver” behind the firm’s library distribution service and the OverDrive Retail Kiosk. If the OverDrive Retail Kiosk becomes a key to unlocking the way back for book retail in the “real world,” it will by its own definition contribute to the evolution from the printed book to the ebook. Anyplace — in the mall, the main street or high street, the coffee shop, canteen or library — can become an outlet for the purchase of ebooks, which will feed back into the supply and value chains. No doubt, historians will note that OverDrive required no physical ereader of its own, no Kindle, no iPad, etc., to reach this point in the evolutionary path but rather, it was its dual focus on finding an effective way to rationalize the delivery of multiple formats while pursuing a standard (EPUB) and on meeting the distribution needs of libraries then retail that put OverDrive in its current position. That position is symbiotic with both “closed garden” ereaders and apps as well as books-in-browser solutions. Just as the Gutenberg press would not have taken off without the regular supply of a more relatively standardized form of paper, the digital book has had to await — is still awaiting — a more standardized format and mechanism of delivery. In reinventing themselves and these parts of the book industry’s DNA, OverDrive and others contribute to the evolution of the book. These are Tony Sanfilippo’s slides used for his Ignite presentation at the 2012 meeting of the Association of American University Presses. The slides have been transferred to YouTube with a voiceover. As the book evolves, so too the ways in which it reaches us, or we reach it. We have lived through one stage of that evolution with online bookstores. We are living through another with ebooks.